At 22 years old he led the most sedentary lifestyle. While sitting down all day may seem harmless, but, he was not surprised that it was having a negative impact on his health. Being aware of the problem and not knowing how to go about rectifying the problem… is the story of most people’s lives. However, Hemanth Kumar did not lose heart and found a way out to get motivated and get on his path to fitness. His story in his own words. I am a mechanical engineer and I have been working in shifts. Shift work means sleep and food patterns are erratic. Further due to lack of any form of exercise or physical activity, I would always feel lethargic. So much so that I would not be interested in doing anything. As for my daily diet, I would have 3 heavy meals namely breakfast, lunch and dinner. It was no surprise for me that sitting behind a desk, commuting or relaxing on the couch for too many hours a day can be harmful to my health, but what I was not aware of was the extent of havoc it is causing my body. I realized it while I was reading an article on health. After I finished reading it I was scared for myself as I was young and could not take it lightly. I had to do something to change my lifestyle before my condition got worse. I also read that most health professionals recommend walking 10,000 steps a day (approximately 5 miles = 8 Km). It is the ideal goal to set for improving health and reducing the health risks caused by inactivity. This statement got me thinking and I started researching on various sites like Amazon and the likes looking for a fitness tracker. I was wanting a health gadget that could get me on track. Something that could track my fitness and other aspects. And, I came across GOQii. I read several reviews and content on GOQii. I was convinced with what I read. The best part was that it came with expert advice from a coach. I was relieved that there will be somebody to monitor my progress. So I was not going to be alone on my path to a healthy lifestyle. 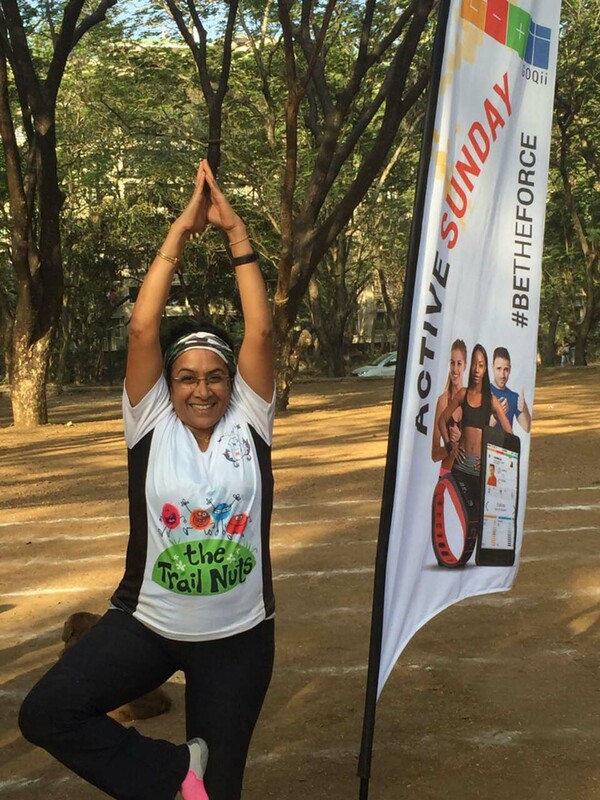 GOQii is also about getting people to change their lifestyles without doing anything drastic. Changes are brought about purely through new healthy habit formation and letting go of your old unhealthy habits. I bought my GOQii band on December 25th and Dr. Afsha Shaikh is my coach. I discussed my lifestyle with my coach and we zeroed in on my health goal. My first health goal was to get into a regular exercise regime, daily target to clock 13k steps and an increase my intake of protein which I lacked. My coach got me into regular exercising. She also altered my diet. Instead of having three heavy meals a day. I started having small and frequent meals. I have also started including fruits in my diet which were missing earlier. Many of what my coach added to my diet were something I was aware of but never got around to having them. My water intake was also poor prior to GOQii and now I drink 2.5 litres of water daily without fail. I have learnt a lot by being on the GOQii platform. While researching on health and fitness I remember reading “traditional thought suggests that having a healthy diet and getting aerobic exercise will offset the effects of time spent being sedentary. Even if you exercise for 30 minutes a day, you may not be able to counteract the effects brought on by the lack of activity throughout the rest of your day. Rather, the solution seems to be less sitting and more moving overall”. That is exactly what my coach got me to do. She got me to start moving. My coach helped me set small goals and also guided me on how to achieve it. Today, I feel good about myself and more energetic. 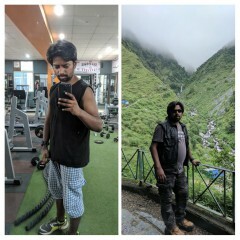 I am also fitter than before. What does Coach Dr. Afsha Shaikh have to say about player Hemanth Kumar? 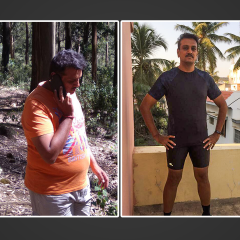 Hemanth Kumar had a long term goal to lose fat, extra inches, and weight. We had set some small term goals to increase fiber intake and I must say he was one of my dedicated players who has been following his goals seriously. Also, he has been very good with maintaining his step count which has reflects his enthusiasm in doing some good physical activity. On the days he could not complete his step count, he would make up for the loss over the weekend. 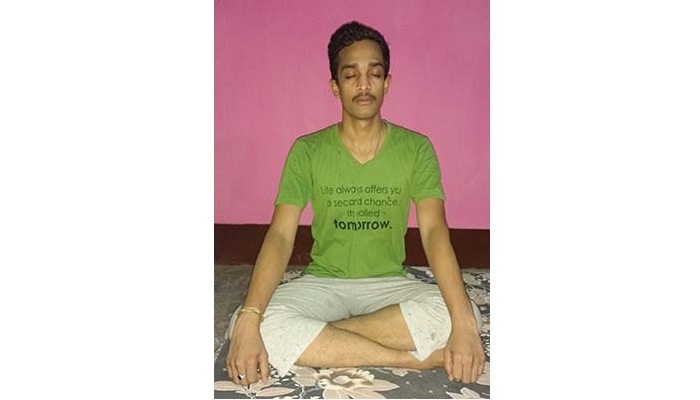 Initially, we had decided on exercising in the morning then when he got on the night shift he could not do morning exercises and therefore, we decided we would do exercises as and when possible. 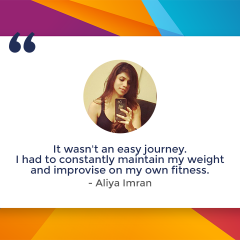 This decision suited him appropriately and he became more regular with his exercise.